Agents of SHIELD received a full season order from ABC. Titus Welliver (Agent Blake from Item 47) will be appearing on the upcoming episode, entitled FZZT. RUMOR: Joseph Gordon Levitt and Paul Rudd are front runners for playing Ant Man? What was the theme of this episode? Trust and second chances and how they intertwine are what Ben and Daniel saw. The Red Masked Men. Who are they? Red Skull cultists? Flag Smasher's men? Or just random dudes showing up for a flashmob? Who is Akela Amador? What do we think about her? “We protect our own,” Coulson says. “She's not one of us,” Ward replies. What does this reveal? Amador asks: “What did they do to him?” Well, what DID they do to him? 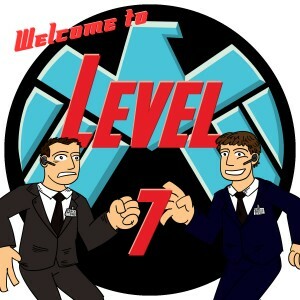 What does this episode reveal about Coulson's mystery? Ward and Skye worked well together in this episode. It's obvious what that's leading to. WHO IS THE BIG BAD??? Fellow agents send in their field reports, with some interesting diversity, chiming in on the quality of the show, the development of Fitz/Simmons, Skye, and, of course, what happened to Coulson? Thank you SO much for listening! We truly, truly appreciate that you let us have this conversation with you every week! Yes, ep 4 was the best so far, but I fell asleep during the final act. I am chalking that up to me being tired and stressed, not to the episode being bad. My wife (who, surprisingly, seems more bullish on the series than I do) enjoyed it quite a lot and called it the strongest episode yet. Re: “what Disney does is build up and sell its properties” – That is certainly true, and kind of sad. As Michael Sellars explained in his book on the John Carter movie, Disney used to be about dreaming and telling great stories. Now, not so much. It’s more about mining the stories they’ve already told, and that others have told and they’ve purchased, for all they’re worth. Looking forward to episode 5 tonight — I got a good night’s sleep last night so I can stay awake! — and then, as ever, to your discussion of it. Keep up the great show!